This course is primarily aimed at Freedom of Information practitioners, lawyers* and other specialists working in the field. It is not intended as an introduction to FOI. 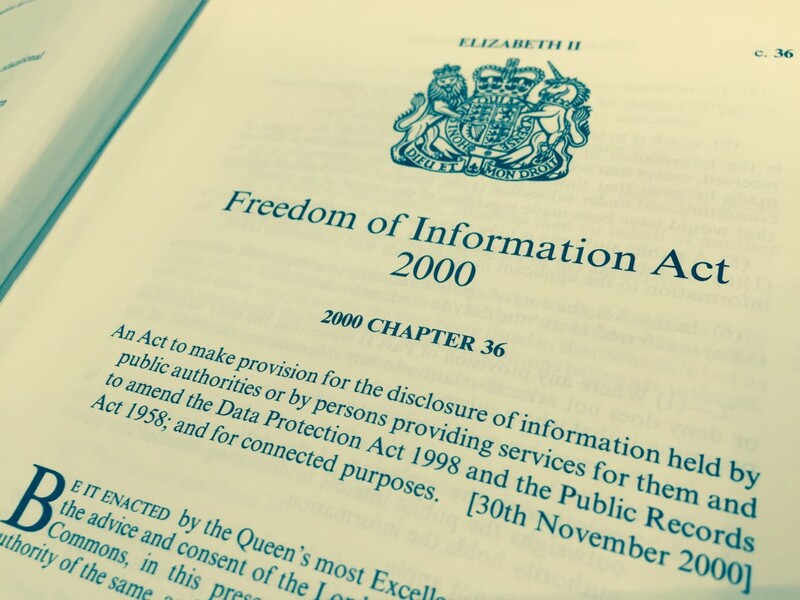 If you are new to the subject you may find our Using the FOI Act course more suitable. Our courses can be provided in-house – please contact us for more information. *Lawyers may claim non-accredited CPD points for attending. Bookings can be made with a credit or debit card online via the Free Word Centre website or by phoning the Free Word Box office on 020 7324 2570. If you would prefer to pay by invoice, please email or call the Campaign for Freedom of Information on 020 7324 2519 to book with the names of the delegate(s) who want to attend and details of where to send the invoice. We will need a purchase order number to quote on the invoice if one is required by your organisation. The session is chaired by John Angel, former Upper Tribunal Judge and now a member of the Campaign’s board. The course is presented by Maurice Frankel who has worked for the Campaign for over 30 years. He was actively involved in persuading the government to introduce FOI and seeking improvements to the legislation in Parliament. He now trains public authority staff and requesters in the legislation. He was a member of the Ministry of Justice’s Information Rights User Group. He sat on the ODPM group looking at aligning the Local Government Act 1972 with the FOI Act. He was a member of the Commonwealth Group of Experts whose FOI Principles were adopted by Commonwealth Law Ministers in 1999. He drafted the successful private members’ bills which became the Access to Personal Files Act 1987, the Access to Medical Reports Act 1988, the Environment and Safety Information Act 1988 and the Access to Health Records Act 1990. He received an OBE for services to open government in 2004. Arts Council England, BBC, Big Lottery Fund, City of London Police, Cranfield University, Crossrail, Department for Communities and Local Government, Department for Environment Food and Rural Affairs, Dartford & Gravesham NHS Trust, Department of Health, Department of Work and Pensions, Electoral Commission, Falmouth University, Financial Conduct Authority, Food Standards Agency, General Dental Council, Gloucestershire Care Services NHS Trust, Goldsmiths University of London, Heritage Lottery Fund, Hertfordshire Partnership University NHS Foundation Trust, Home Office, Home and Communities Agency, House of Commons, Independent Police Complaints Commission, Kent County Council, Land Registry, Local Government Ombudsman, London Borough of Barnet, Medicines & Healthcare Products Regulatory Authority, Melton Borough Council, Ministry of Justice, National Audit Office, Network Rail, New Forest District Council, NHS Business Services Authority, Northampton Borough Council, Nuclear Decommissioning Authority, Office for National Statistics, Office of Rail Regulation, Ofwat, Ordnance Survey, Parliamentary and Health Service Ombudsman, Sheffield City Council, Sport England, St George’s University of London, Surrey County Council, Taunton & Somerset NHS Foundation Trust, Thanet District Council, The National Archives, UK Anti-Doping, UK Statistics Authority, University of Bedfordshire, University of East London, University of Leeds, Welsh Government.